Leanne Warner spends her days working to ensure that sick children across NSW and their families receive the care they need. Warner is this week’s Changemaker. As the CEO of the Sydney Children’s Hospital Foundation, Leanne Warner is passionate about making a difference in the lives of those facing extreme difficulty. 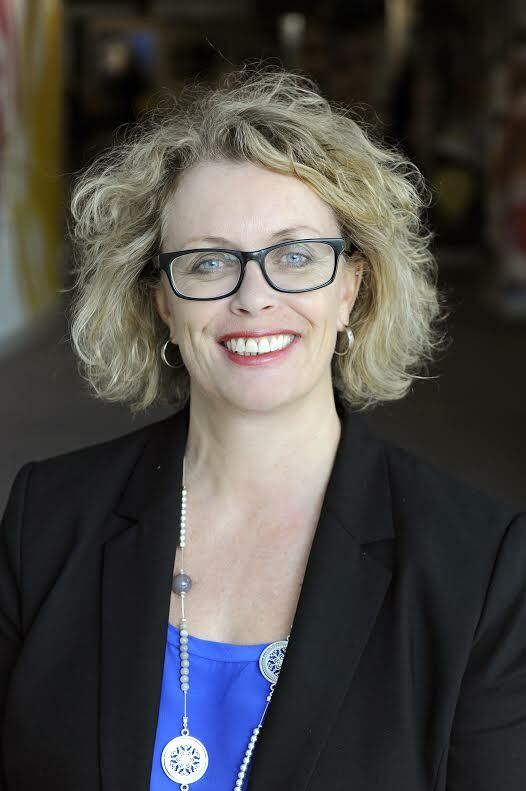 A 14-year veteran of the Not for Profit sector, Warner began her management career within the recruitment industry, working in London and Melbourne before moving to Sydney. In this week’s Changemaker column, Warner shares her source of inspiration and offers up her own words of wisdom for others wishing to follow in her footsteps. What are you working on at your organisation at the moment? The Sydney Children’s Hospital Foundation is the community funding mechanism that supports the Sydney Children’s Hospital at Randwick. Next year will be our 30th year of operating and we are committed to supporting the work that is undertaken at the hospital. Our funding contributed to all areas across the whole hospital as it relates to equipment, research, clinical care and treatment and also helps to support initiatives as the hospital sees fit as a priority. At the moment, for example, we have a commitment that commences in 2016 to fund a new capital works project that the hospital is undertaking which is going to be three floors of a building called the Bright Alliance. The Sydney Children’s Hospital will be expanding to take up three floors within the building which is on High Street in Randwick. For someone from Melbourne, is the Sydney Children’s Hospital Foundation similar to the Good Friday Appeal? Yes… we do run similar to Melbourne Royal Children’s Hospital. We run a telethon with Channel 9 that happens in June during the long weekend each year. This year we raised $5.2 million to support the hospital so we’re very generously supported by a range of different community mechanisms not just across Sydney but right across New South Wales and the ACT and even broader than that because some of the families we treat do come from rural and regional areas across Australia. We have families from the Northern Territory, we have families from South Australia and depending on the care needs that they have we have people who travel a great distance to be treated at the hospital. Has this role been more challenging for you or more rewarding? I think it’s a combination of both. It’s quite a complex mechanism because obviously you’re supporting a very established hospital that already has its own internal funding mechanisms as well as ours, because we’re a separate foundation that has an independent governance model with a board and a series of directors and myself as CEO. It’s challenging in a really fantastic way because there’s always something new to learn, to be inspired by and to be able to work cleverly on to engage donors and the hospital on. Before you came to the Foundation you were at Cure Cancer Australia, is that right? I arrived in the sector around 14 years ago. I was taken on as General Manager for Camp Quality, which is a kid’s cancer charity, and they did me the biggest favour of my life where they backed someone coming from a corporate environment to come in and I was actually taken on board to manage 14 offices around the country and many of those offices were in regional and rural areas as well as the key hubs. It had a strong volunteer base, which I found fascinating and quite complex to work alongside having come from a corporate background because the nuances and the needs of those individual community groups was quite intricate to understand and it took me a little while. I was in that role for seven years and then I transitioned from General Manager to CEO of Cure Cancer Australia. That was working in a less family focussed environment but still obviously catering to the needs of people with cancer by funding young researchers at the beginning of their careers across all of the cancer areas. That was different and interesting in its own right because it was enabling us to support innovation and create a career trajectory for those really talented young professionals who are hopefully going to be the people to find the cures for the future. I’m so lucky because I’ve had such a varied Not for Profit career but in each of the roles and in each of the organisations I’ve had excellent people to work with and to learn from. I think the key thread that runs through all those organisations is the ability to inspire and innovate and to keep striving to do that. What do you think is the key to moving up in a career in the Not for Profit sector? I think you have to believe in yourself and your ability to influence and to be able to be flexible and acknowledge that every day there is a learning opportunity and there is something new. You never assume you know everything. I’d had a strong corporate career in the recruitment industry in Melbourne, London and then in Sydney, so I came from fundamentally a sales environment and managing teams of salespeople. So to then join an area where you’re dealing with difficult political mechanisms, I think my success in terms of a career trajectory has just been about the ability to absorb information, reprocess it and create excellent teams around me that actually have that adaptability and that willingness to learn. There’s a lot of passion and energy in this sector and I think you’ve got to keep on empowering it and enabling it because it’s a really powerful tool for success. Across your career what have you been most proud of? Growing great teams. I always feel proud of engaging, retaining and developing people around me. Watching organisations grow and also survive through real change periods. In each of those organisations I’ve worked at I think change has been an area that I thrive in and enjoy because it’s the most painful and the most joyous period in an organisation's development. You’ve got to walk that line and empathise with the pain and celebrate the success, even if it takes longer than you hoped, costs more than you thought or creates reasons for some people to leave the organisation along the way. What inspires you to continue to work in this field? It’s absolutely the beneficiaries of the fundraising and the commercial support that you achieve. It’s the children and the families, it’s the people who benefit. I don’t want to sound clichéd and say that I’m trying to change the world but I really feel that I’m so lucky because some people have a role where they might be lucky to experience goosebump days once a quarter if they’re particularly lucky, and I get to have goosebump moments every single day because of the interactions that I have with the people around me. There’s just so much great stuff going on. I’m a bit of a junkie when it comes to inspiration and I get plenty of a fix working in the Not for Profit space. What’s next for you? Where do see yourself moving onto next? I don’t tend to plan my career moves with an ambitious goal in mind. I tend to believe that the universe comes to get you when you’re meant to be doing something different. I’ve always been a person who leaves a role in order to identify the next role rather than someone who transitions while they’re in one role to the next role. Because I care very deeply and passionately for the organisations that I lead or am a part of I find that it’s better to leave and then to identify what the next partnership is going to be. What advice would you have for other people that would like to create positive change in the community? I think just really believe in yourself and your ability as an individual to create that ripple effect that enables change. I’ve got on my wall the quote “if you stumble make it part of the dance”. I think that’s a good philosophy to have because even if it doesn’t go incredibly to plan, that’s ok because there’s obviously meant to be something learnt from that. The dance goes on and you want to continue to feel enthusiastic about it. Don’t beat yourself up too much, keep striving, keep influencing and try to maintain the dedication and the passion and the change will come. It won’t always be in the way you originally planned or hoped for but you will make a difference in the end.